First of all, install the necessary software for HARK. 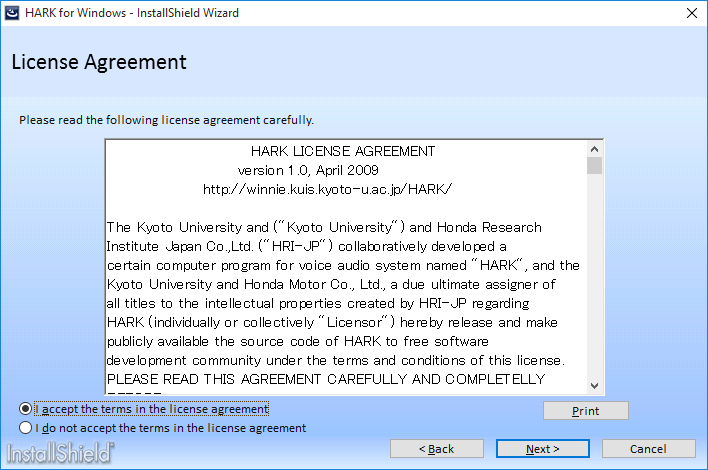 For necessary software, see HARK installation instructions. 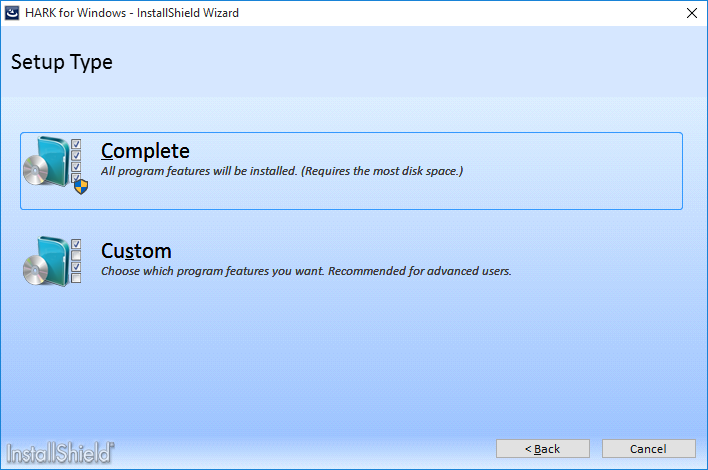 For Windows, you can install using the installer. 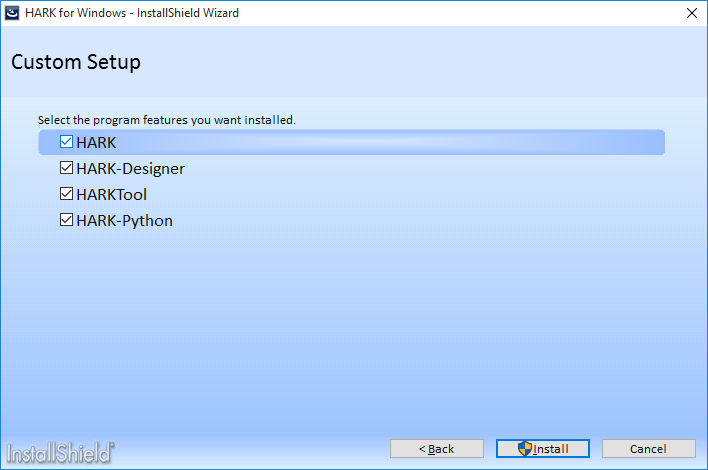 This program installs the following software. First, run the windows installer of HARK, which you can find on HARK web page. Then, the installation of the HARK begins. If you agree the license, click the Next button. The installation will proceed. You can uninstall HARK by the following 3 methods.